VisualFoil Plus has all the capabilities of VisualFoil 5.0. In addition, (Plus), it solves the 2D compressible Euler equations and computes the lift, drag and moment coefficients for airfoils in subsonic, transonic and supersonic flows. It generates accurate aerodynamics data for experimental or existing airfoils where the information might be incomplete or unknown. 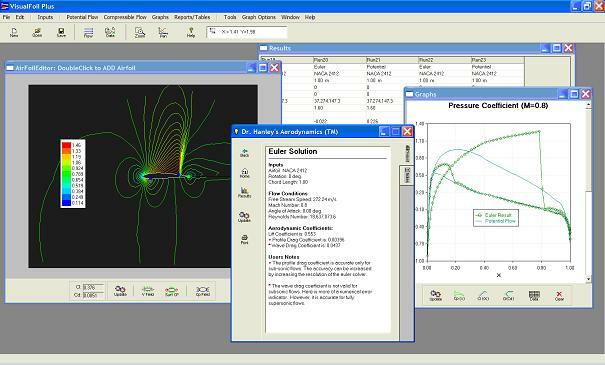 VisualFoil Plus analyzes and selects airfoils for jet aircraft, propellers, silent UAV propellers, industrial machinery and other products. VisualFoil Plus has a library of 1000s of built-in airfoils which includes NACA 4, 5 & 6-digit airfoils. 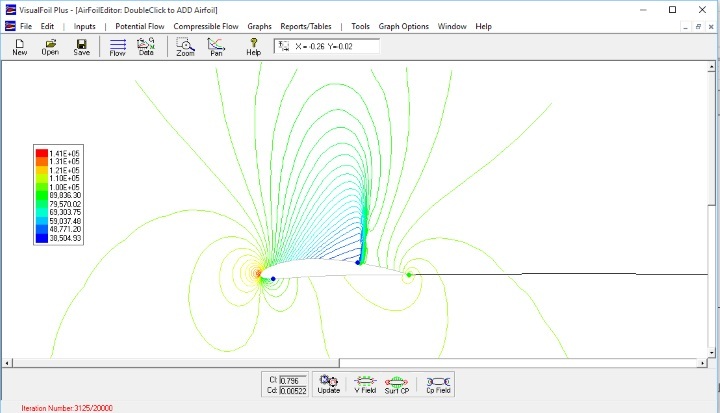 In addition, the user can enter custom airfoils for analysis and modify existing airfoil shapes. VisualFoil Plus is no longer in production. It is currently available on clearance as a perpetual license. The price for the perpetual license is $189 US. We will continue to provide technical support for VisualFoil Plus up to one year after purchase. A poorly performing airfoil will result in a poorly performing wing and noisy propeller. If you are designing a wing or propeller for a UAV, light aircraft, or car, VisualFoil will provide the absolute best start for your project. VisualFoil Plus is used to determine the airfoil drag divergence Mach number that improves the performance of propellers and high speed aircraft designs. 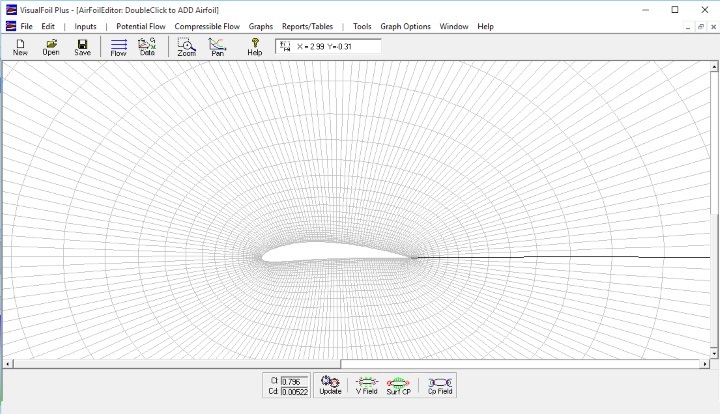 Visual Foil Plus can be used to compute the drag divergence Mach number for any airfoil shape using subsequent runs over a range Mach number. The above figure shows drag divergence for a NACA 0012 airfoil at zero angle of attack. Do not hesitate to email or telephone us at (352) 261-3376 if you have any questions.